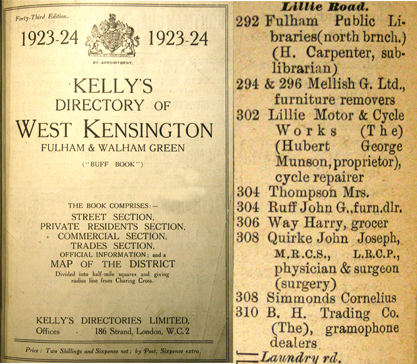 The Ruff family moved from Shepherds Bush to 304 Lillie Road when Jack took over the furniture dealers there. Unfortunately we dont have any photographs of the actual shop, the picture above and map below show its position in the road. Also unfortunate is that this section of Lillie Road was totally redeveloped in the 1960's so a comparison to the present day is also not possible. 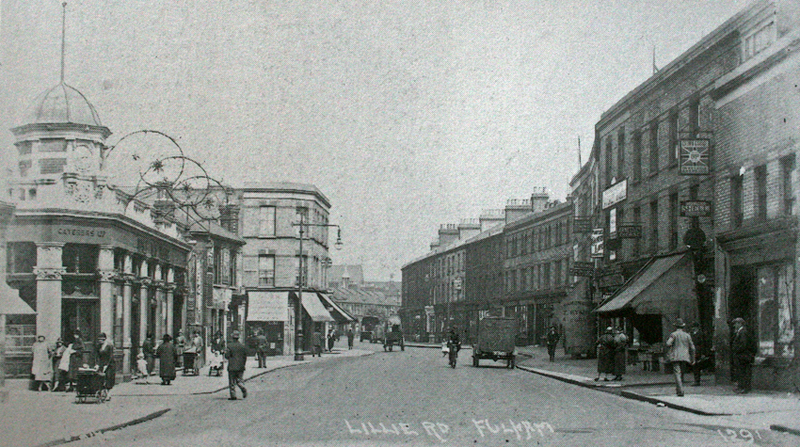 The shop at 304 was located between the Half Way House Pub and the Fulham Library. The picture above shows the view eastwards down Lillie Road with the Half Way House PH extreme left. The view further down is obscured by the shops 308-310.